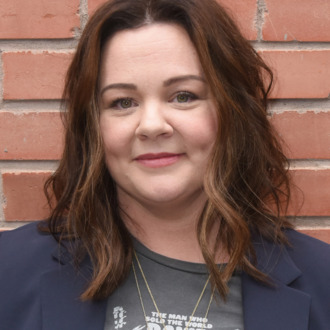 Saturday night saw the premiere of Melissa McCarthy’s latest project, Can You Ever Forgive Me? — in which she portrays the author and notorious literary forger Lee Israel — at the Telluride Film Festival. The film, which received glowing reviews and almost immediate awards-buzz, features a slew of great performances from McCarthy, Richard E. Grant, Jane Curtin, and a very good little boy cat named Towne who is just such a good, sweet little guy, yes he is. After the film’s premiere, McCarthy took a moment to heap praise on her feline co-star. “I heard there are actually Academy Awards for pets. I can’t remember what they are called but I call them the Cat Oscars and this cat should win,” McCarthy told the crowd according to Deadline. Unfortunately, there is not an official Academy Awards for pets, the closest thing is the Pawscars run by the American Humane Society, which are an unofficial award for animal actors. But that doesn’t sound like nearly enough recognition for Towne. “[W]e had to cast for cat actors, so the trainer said ‘well this is our best performing cat’. So how good can this cat be? He’s a he by the way. His character Jersey is a girl. He does that very well too,” she said. “The first time I take him, or her, whatever, to the vet, while we are at the counter he sneezed. And I look at him and literally thought ‘Are you kidding me? Are you pretending to be sick?’ Then Marielle cuts and I looked to the camera and said to myself, ‘This cat is out-acting me’.” Somebody get a tiny tuxedo ready, because if this guy isn’t on the red carpet this year, the Oscars are truly over.